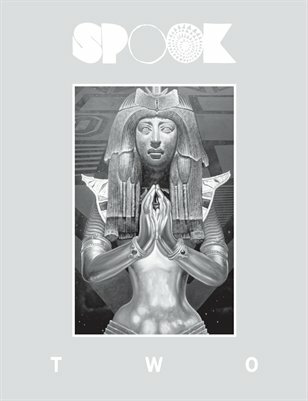 Upon its debut in June 2012, Spook was hailed by the Los Angeles Review of Books as "an invaluable contribution to the cultural conversation." The magazine operates as a space for alternative voices and remixes traditional formats, a sort of literary arts mixtape (think The Paris Review meets Wax Poetics, or better yet: a Lucille Clifton verse set to a Madlib beat). Issue 2 features rhapsodies from Peter James Hudson, Rembert Browne, Michael A. Gonzales, Lenore Bell, Robert Bland, fiction by Aaron Michael Morales and Geoff Mak, poetry from Sidony O'Neal, as well as art by Kajahl Benes, Zayna Daze and Kameelah Janan Rasheed, among others.